These were some of the last BSPP ladders to be built with a crew cab. As can be seen here, by this time they usually responded with a two-man crew. 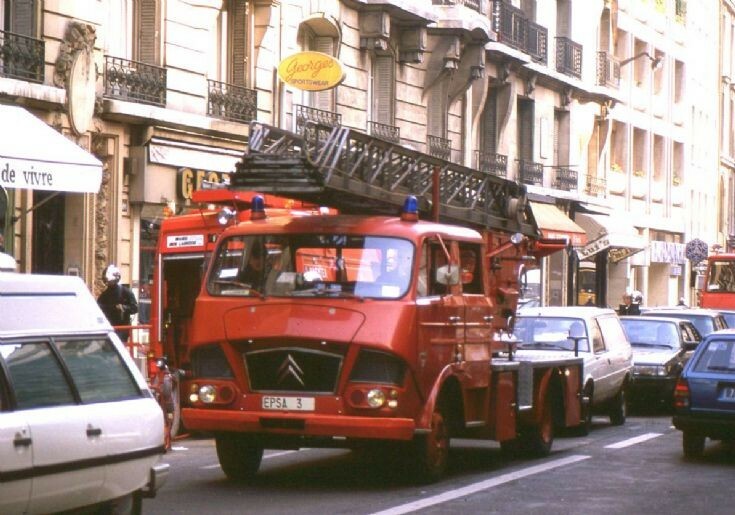 They replaced older Berliet and Saviem ladder trucks. Added by Rob Johnson on 07 July 2016. Added by John Johnstone on 07 July 2016.